“Thus says the Lord : “Cursed is the man who trusts in man And makes flesh his strength, Whose heart departs from the Lord . For he shall be like a shrub in the desert, And shall not see when good comes, But shall inhabit the parched places in the wilderness, In a salt land which is not inhabited. “Blessed is the man who trusts in the Lord , And whose hope is the Lord . For he shall be like a tree planted by the waters, Which spreads out its roots by the river, And will not fear when heat comes; But its leaf will be green, And will not be anxious in the year of drought, Nor will cease from yielding fruit. “The heart is deceitful above all things, And desperately wicked; Who can know it? I, the Lord , search the heart, I test the mind, Even to give every man according to his ways, According to the fruit of his doings”(Jeremiah 17:5‭-‬10). 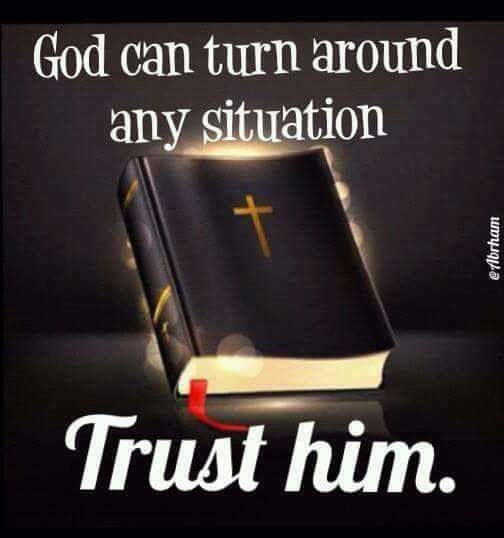 This entry was posted in Daily Message and tagged don't put your trust in people, I will trust in the Lord.